Who does not know the story of that naughty gingerbread man? In this post I will share sensory and art projects for gingerbread theme in preschool and early elementary school. This post has been modified in November 2015 with new graphics and links. Disclosure: I am an Amazon associate and this post contains Amazon affiliate links. For full disclosure, please click here and thank you for supporting my blog! The theme of the day in online activity calendar for yesterday was Gingerbread. Phew, I thought, this is easy! 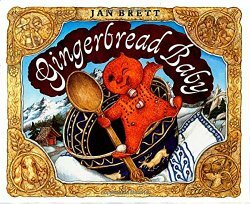 Conveniently, we had a new book from the library – Gingerbread Baby by Jan Brett. Smarty was never a big fan of an original Gingerbread Man story, and she didn't care much for Jan Brett style at that age, but overall she enjoyed this book, especially its happy end. I, on the other hand, thought that Gingerbread Baby was super naughty and deserved what was coming to him. As a story stretcher, I printed an outline of a Gingerbread Man, and Smarty “decorated” it with stickers. Interestingly, she was not thinking of decorating him with clothes. She wanted to make skeleton out f stickers, but got stuck on the heart. The heart was growing out of the paper and eventually Smarty declared that it’s not heart, it’s his intestines, and below intestines there is his bladder. Can’t you tell that someone was looking at too many Human Body books? At this point she ran out of steam and declared the project completed. As another story stretcher, we did our first foray into making gingerbread cookie dough from scratch. It’s a good thing that we didn’t have time to make actual cookies yesterday, because it turned out that we don’t have a cookie cutter shaped as a gingerbread man. Smarty was absolutely engrossed in making a dough – measuring and mixing very diligently. But she declared the dough “spicy”, and, as I recall, she did not care for cookies. She does like gingerbread sweets now as a 9 year old, but she developed a taste for them later. 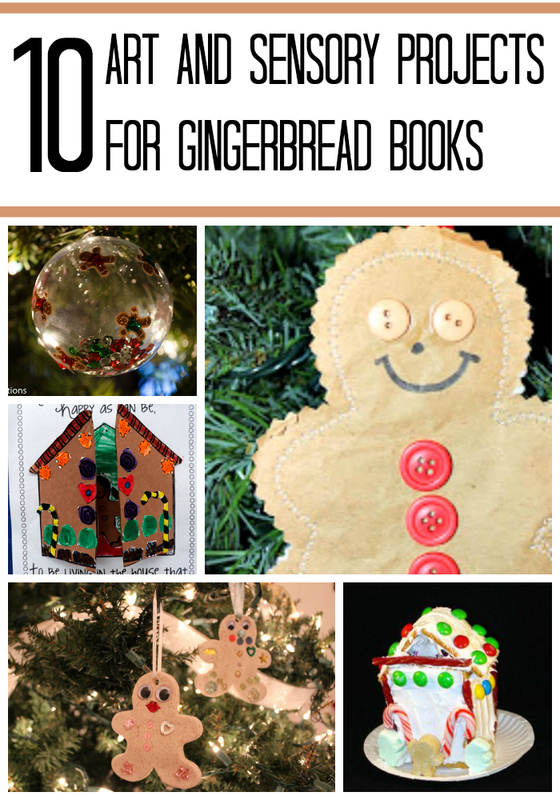 Do you have a favorite gingerbread story or a craft? Follow my Christmas Pinterest board. I did that one year with my kids, and then realized I didn't have a cookie cutter. I finally made one from cardboard:) LOL They didn't care for the cookies much after they were baked. And, Anna just cracks me up with her knowledge of the human body! 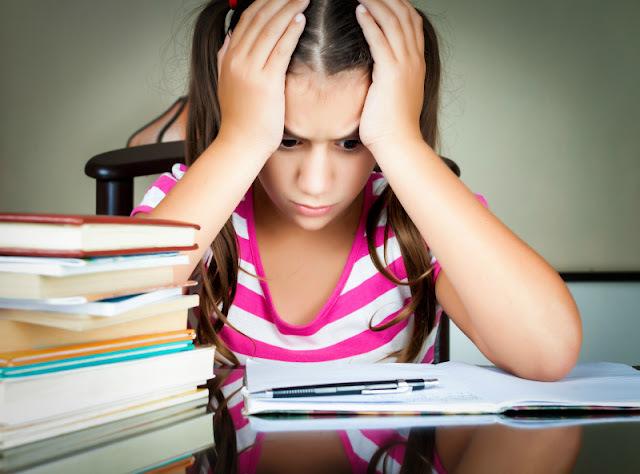 What an avid little learner she is! The Gingerbread Baby books do have highly detailed, visually stunning illustrations. I like how the illustrations on the side show the little boy making his own gingerbread creation while the gingerbread baby runs amok. Yay! We have Gingerbread Friends here and Hudson loves it! I will have to look for Gingerbread Baby as I am sure he would love that one too! I just love Anna's gingerbread man - what a budding little scientist! I have a recipe for "child friendly" gingerbread men (it has butterscotch pudding mixed in and no molasses) so they are not spicy. Let me know if you are interested in it! We made gingerbread cookies yesterday too! You can see what we did on my blog. It was such a LOT of work, but they're my favorite cookie ever, so it was worth it. LOL, love Anna's gingerbread man's 'modesty sticker'. Hee hee, I love how she rejectedt eh dough because it was spicy. Oh my gosh--his intestines!! That is a good one! We like this book too. I found a recipe for gingerbread that is supposed to be sweeter and more "kid" friendly. We will make it this weekend. I'm hoping it is a hit!